The Blackbird is a modern, double-edge safety razor designed, machined, and finished in the United States. With looks inspired by the iconic SR-71 "Blackbird" reconnaissance aircraft, the Blackbird razor is as visually striking as it is functional. Each of the Blackbird's three pieces is machined from solid 303 stainless steel or solid brass to astoundingly tight tolerances, delivering exceptionally close and consistent shaves. The machined finish is available for both stainless steel and brass Blackbirds. This finish proudly shows off the markings created during the process of machining each razor. The intricate, carefully-planned patterns left in the surface tell the story of the Blackbird's journey from solid steel to finished product. The black oxide finish is available on stainless steel Blackbirds. This finish is inspired by the aged, imperfect look of an aircraft after years of service. Each razor's finish is one-of-a-kind and no two black oxide Blackbirds are the same. Over time, the finish will fade in the places where it is most often handled - developing a patina unique to that individual razor. Black oxide is a chemical conversion process rather than a coating so it will never chip or flake off. 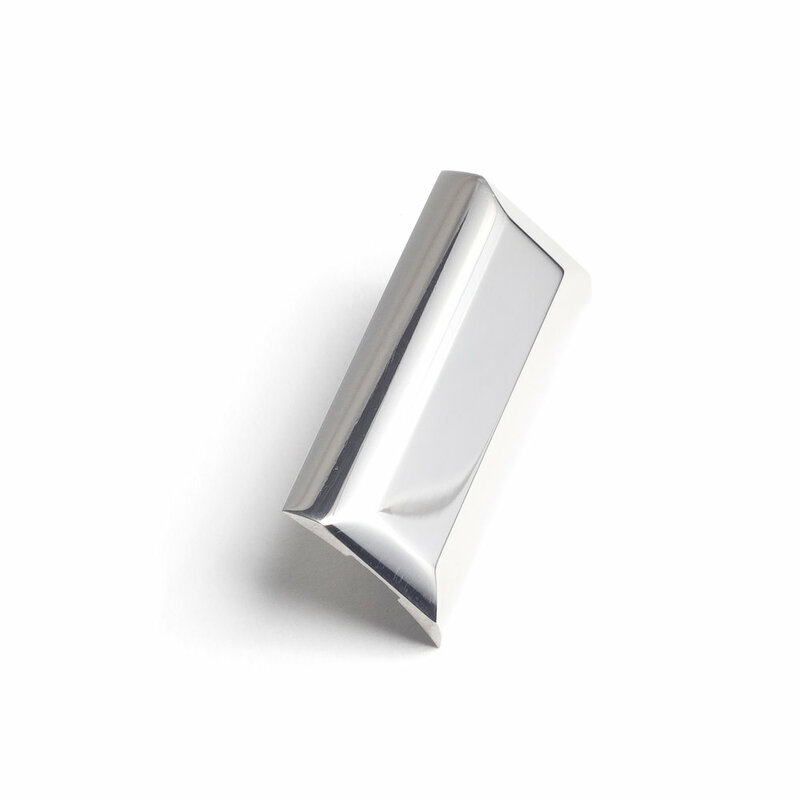 The polished finish is available for both stainless steel and brass Blackbirds. This finish is truly timeless. Each piece is painstakingly polished by hand and buffed to a mirror shine. The result is a piece of functional art that you will want to keep on display. 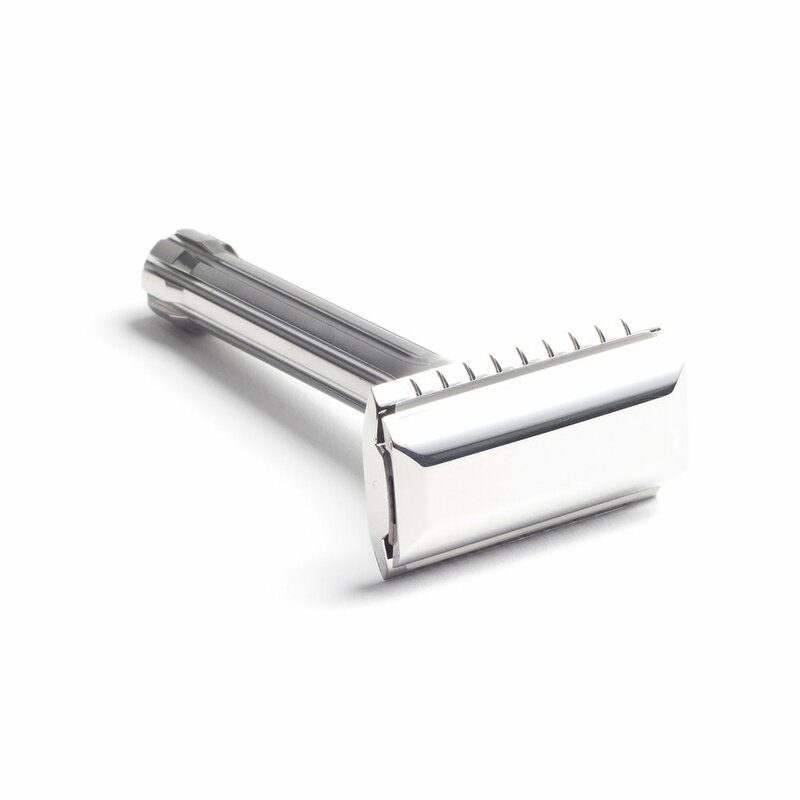 The safety bar base plate provides a comfortable, smooth, and irritation-free shave. The safety bar covers the entire length of the blade, offering the user great protection and reducing the risk of nicks or cuts. This is a versatile style of safety razor and is well suited for those with softer or thin beard types and sensitive skin. The open comb base plate is designed to maximize the efficiency and closeness of your shave. The comb teeth allow for greater lather flow and make it almost impervious to clogging. This style excels at cutting through thick or long stubble and is perfect for those with coarse beard types.